Most certificate courses provide the usual international standard of at least 120 hours of tuition and 6 hours of observed teaching practice. Beyond this, TEFL programs vary greatly as to what services they can provide as well as the qualifications and experience of their trainers, and even to some degree, course content. The quality of training and actual recognition of the certificates earned varies greatly. Authorised to award the TEFL International TESOL Certificate by TEFL International; one of the world’s largest and most prestigious certificate providers with training centres in over 20 countries around the world. Externally moderated by TEFL International head office to ensure the required standards of quality and training are met. Accredited by the Czech Ministry of Education. Course content, descriptions and staffing have been submitted to and approved as being in accordance with the quality training standards outlined by the Ministry of Education. State school teachers employed in the CZ who enroll in the program are eligible for tuition re-imbursement, if approved by their employer. Validation of Fort Hays State University, Kansas, stating TEFL International TESOL’s certificate course meets all generally accepted international standards as well as those set down by the Fort Hays ESL Program. 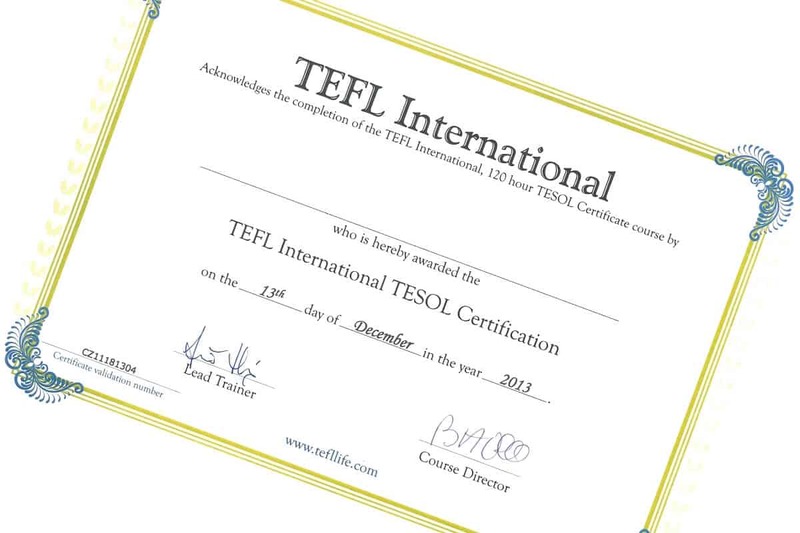 TEFL International certificates holders are eligible for credits toward a Fort Hays TESOL MA.